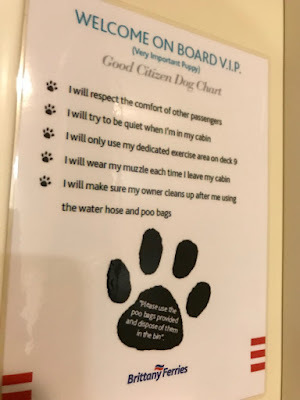 What do you do to celebrate your beloved dog’s birthday, especially when they have reached the age of 11 (or 65 in doggie years) and had a traumatic time over Christmas – think house sharing with a Jack Russel, dog bites, blood (on Grandma’s beige carpets) and a vet visit? We decided to take Mini on a cruise. 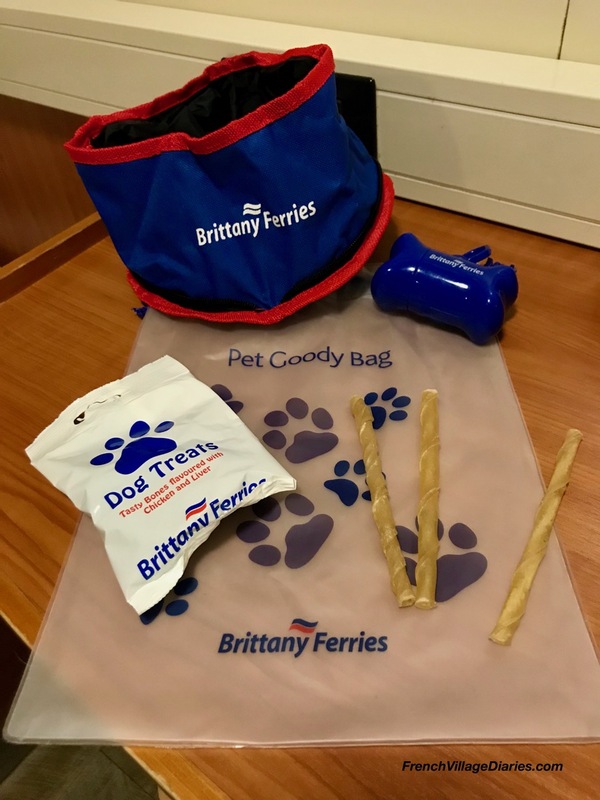 Well, the pet friendly cabin of the overnight Brittany Ferries Baie de Seine sailing from Portsmouth to Le Havre, if I’m honest, but it felt like a cruise to me (and Mini). When you book Brittany Ferries économie, they go to great lengths to ensure you understand it is a no-frills service, which meant I was pleasantly surprised on boarding that the cabin was more spacious than I was expecting. We didn’t check out the bar or restaurant facilities, but as we boarded at 23h, we had already eaten and my bedtime was fast approaching, despite the excitement of being somewhere new. 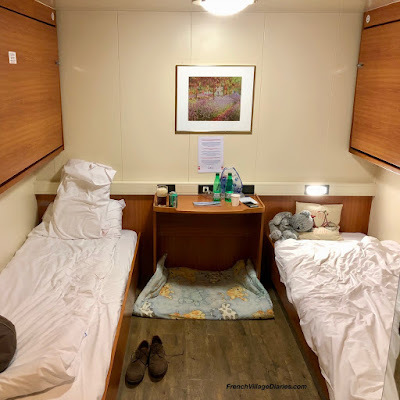 The cabin was warm, and the bed was comfy, although the unfamiliar sounds (it wasn’t noisy) and movement meant it took me a while to fall asleep, but I slept well once I was asleep. Mini was more enthusiastic than some of her four-legged travelling companions; one had to be dragged through from the car deck to the stairwell, where we encountered another one refusing to climb the stairs. Mini was just happy to be with us, even if wearing her muzzle (compulsory in public areas) isn’t her favourite attire. She was also quite at home in the cabin. 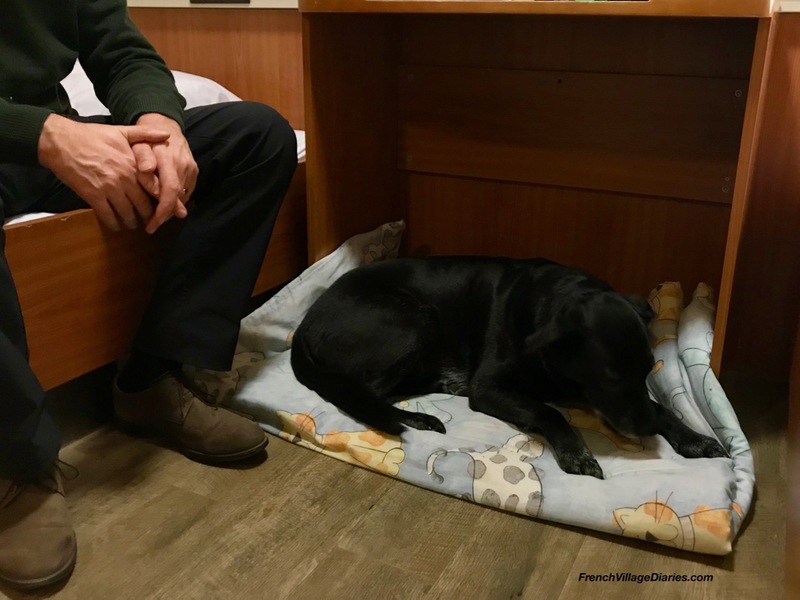 Her duvet bed fit snuggly under the desk area that gave each bunk a bedside table, meaning she was close to both of us, on her own bedding and tucked into a cosy cubbyhole; all very important touches for a sensitive pooch like Mini. She also loved the doggy goody bag that was waiting for her in the cabin. Chews, treats, a travel bowl and poo bags, I think at that point she had realised it must be her birthday. The only thing she wasn’t keen on was the outside walkies area. It was cold and dark, metal surfaced and full of puddles. I can’t really describe how miserable she looked tip-toeing gingerly around, never putting all four paws down and her only mission to pull me back to the door. We might have been looking forward to watching the lights of Portsmouth recede and dawn over Le Havre, but she had other ideas. Overall, her birthday cruise was a success for all of us and a very relaxing way to arrive back in France following three weeks in the UK. We really appreciated Brittany Ferries policy to board dog vehicles first, call us back to our cars last and then unload us first when we arrived in Le Havre. 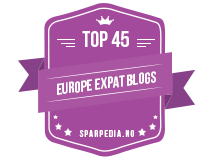 Would we book it again? 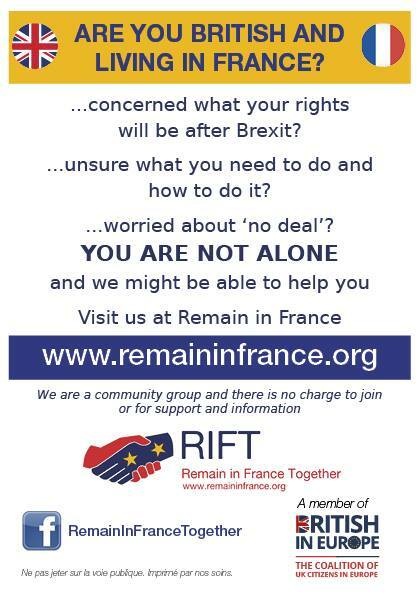 Yes, we are even looking into joining their frequent traveller Club Voyage France scheme.